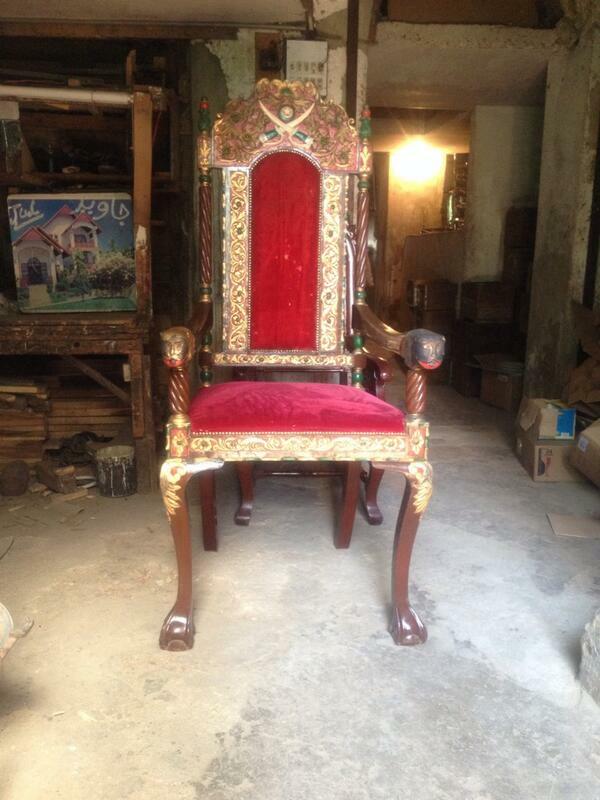 “I was in Badin at a PPP election camp during the campaign. My cousin received a phone call and I saw him placing his head in his hands. “I think something very bad has happened,” he said to me. I called a friend in Dawn News and he told me BB had been shot and there was a chance she wouldn’t make it. We didn’t know what to do – people were putting up flags, dancing, singing Dila Teer Bija and chanting PPP slogans. Only my cousin and I knew what had happened in this crowd of thousands. Thirty minutes later, we were sitting in the camp office when we heard screaming. The news was out. We closed the camp and told people to go home. In 45 minutes, the firing started. Our office was in walking distance of Zulfiqar Mirza’s office and cars full of men arrived there and started firing. Things went out of control within minutes – people were looting banks and shops. Some people went to a thana near my house and attacked it. I was handed a pistol and told to stand outside the house of a family, because we were scared the women and children would be targeted. 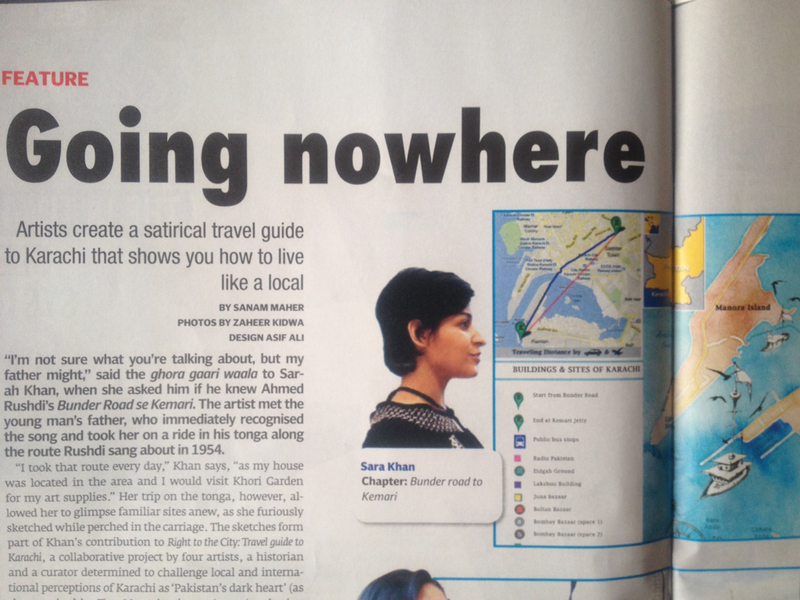 I interviewed so many people with fantastic stories – with space restrictions however, only a few made the cut. 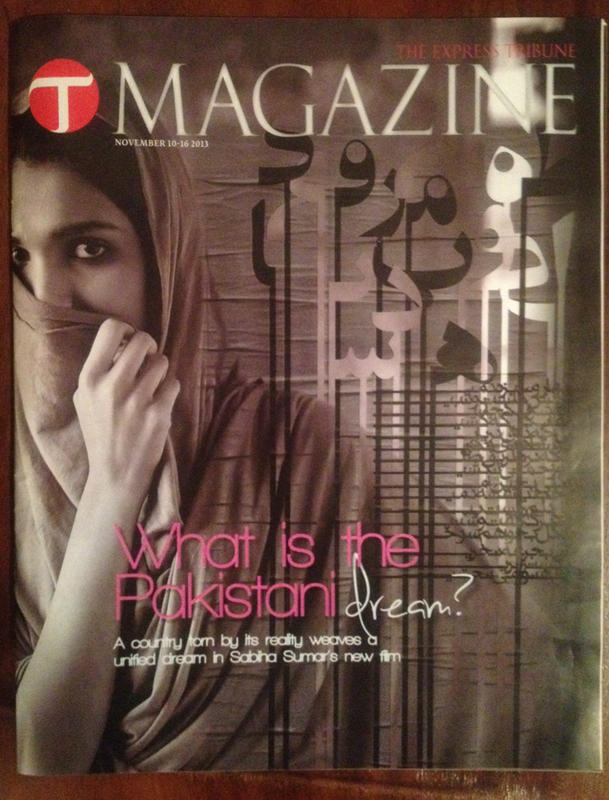 What is the Pakistani dream? Sabiha Sumar has had a good month. As her film Good Morning Karachi (Rafina) had its London premiere at the Raindance Film Festival, Sumar and the team of Saving Face — the Academy Award-winning documentary that she served as producer of — picked up an Emmy award for Best Documentary. In the works since 2011, Good Morning Karachi was filmed over a period of eight weeks, following an intensive three-month workshop with the cast and features Amna Ilyas, Atta Yacub, Beo Raana Zafar, Yasir Aqueel, Khalid Malik and Saba Hamid. “It was like running a film school,” Sumar recalls, as she worked with a motley team of Indian and Dutch crew members as well as local film enthusiasts who had never been on a feature film set. Author Sanam MaherPosted on November 10, 2013 November 25, 2013 Categories Film, KarachiTags film, PakistanLeave a comment on What is the Pakistani dream? 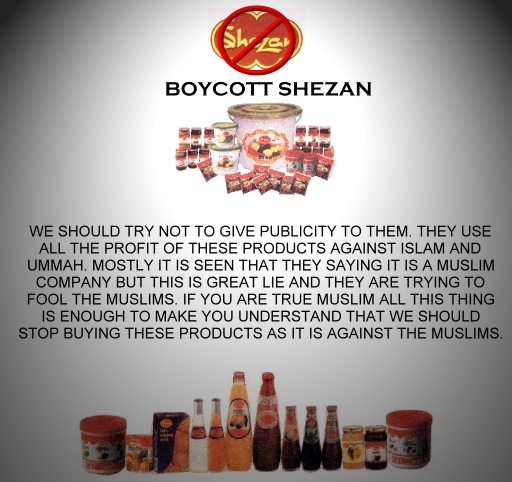 The Khatm-e-Nabuwat Lawyers’ Forum’s proposed ban of Shezan products is yet another illegal action against Ahmadi business-owners, who continue to face violent persecution in the absence of state intervention. British GQ’s September issue features a portfolio of images by photographer Mario Testino, including portrait of supermodel Gisele Bündchen. You are denied a comparatively innocuous glimpse of the curve of Bündchen’s breast – it has been scribbled over with black marker. The director of distributor Liberty Books’ magazine division, Jamil Hussain, explains that this process, which the company refers to as “defacing”, is carried out by buyers in the U.S. and U.K.. Liberty, who supplies an estimated 95% of the market in Pakistan, is responsible for the purchase and distribution of 250 titles ranging from GQ, Vogue, Cosmopolitan, Men’s Health and Esquire to Harvard Business Review, Time, Newsweek, Reader’s Digest and The Economist across Pakistan. 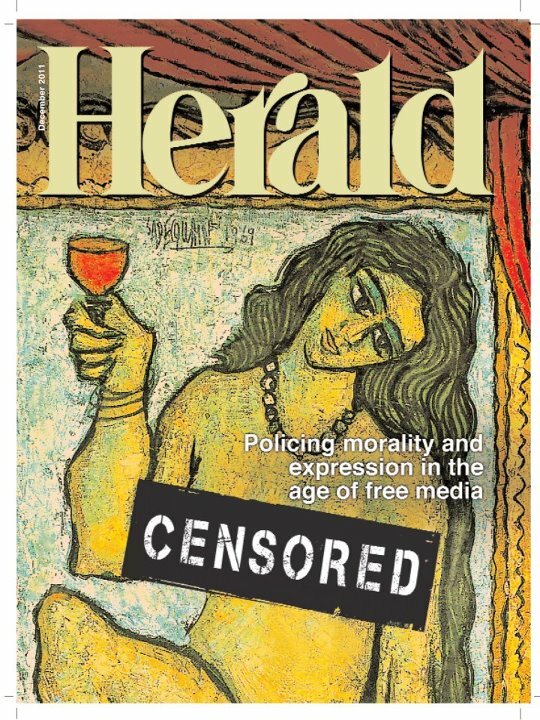 With magazines such as Maxim, which promises “scantily clad cover models and plenty of revealing photo layouts,” Liberty has what Hussain refers to as a “standing order” from the Pakistani Press Information Department (PID) and Customs to ensure that “nothing sexually explicit and anti-Islamic” makes its way into the local market. International buyers approach publishers such as Conde Nast on behalf of Liberty Books, acquiring magazines that are subsequently checked for images that would not pass the litmus test of the market’s sensibilities – Pakistan or the Middle East, for instance. In warehouses in London and New York, black marker-wielding employees restore the modesty of the scantily clad models.